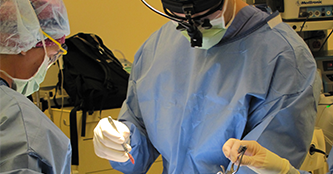 Spinal cord stimulation is a technology reserved for patients whose pain has resisted all conventional treatments such as surgery, injections, physical therapy, medications, and most other alternative therapies as well. The type of pain best treated with SCS is pain involving a nerve or group of nerves. Unfortunately low back pain does not respond well to SCS. One or two very small wires are steered over the spinal cord while stimulating with a very small amount of current. This is called a trial. The best area of stimulation is found. The wires are left in place several days to see if it works for you. If the amount of relief is significant, a permanent stimulator may be placed.